What an awesome idea! This was spotted on Flickr by user mayalu. 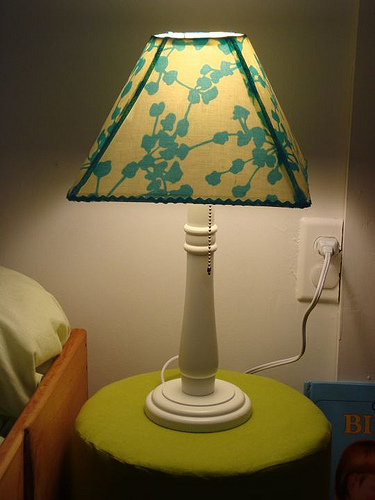 This lampshade was covered using Fabric Mod Podge – which you can use on lamps. . . bags. . . even chairs! 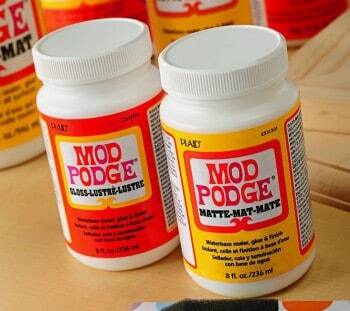 Mod Podge is NON-FLAMMABLE (use on the outside of a lampshade). So don't worry about the bulb. . . you are good to go. Here's how to do a project such as this. First of all, you'll need enough fabric to cover the shade. Wash (no fabric softener), dry and iron the fabric. 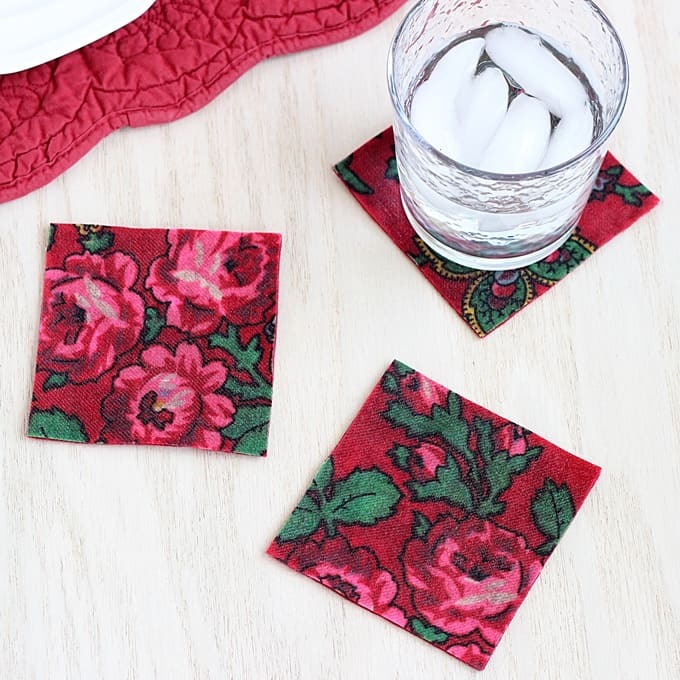 Lay on a wax paper surface and coat with a thin layer of Fabric Mod Podge. You can do it on the front or back, doesn't matter (for whatever reason I always do it on the front). After that has dried, cut the fabric to fit the surface. 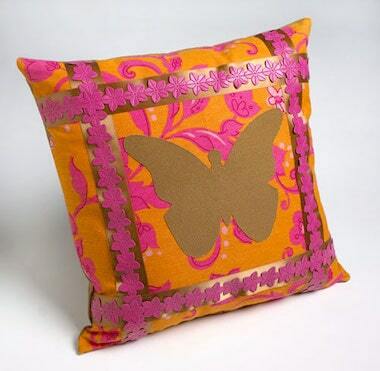 The Fabric Mod Podge you applied will prevent fraying and make the fabric act more like paper! It's pretty cool. 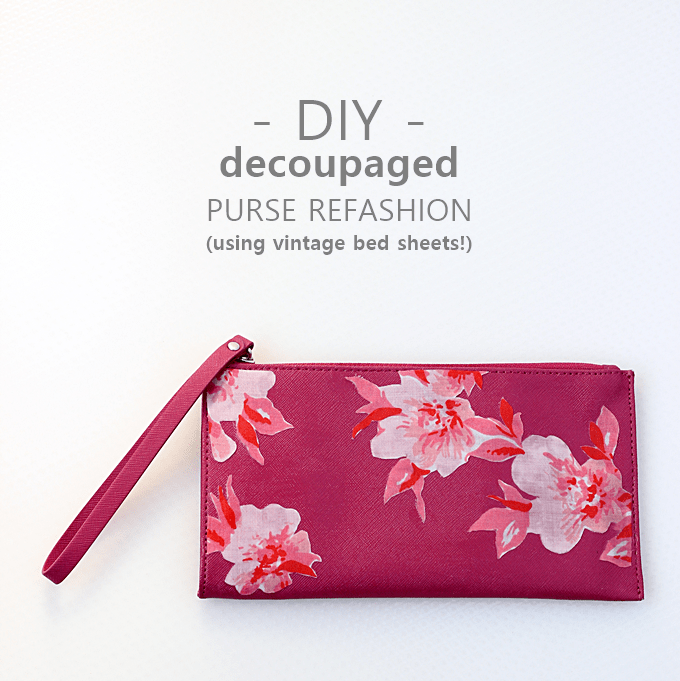 NOW you can decoupage the fabric to the lampshade with the Mod Podge. Your timing was impeccable! I am just about to do another ModPodge project and it should be up on my blog by tomorrow: http://www.mayamade.com I also see your giant clothes pins: I’m in the process of painting them stem green. I LOVE what you did. About the lamp shade for anyone trying it: try to get as many air bubbles out as possible, but it will tighten up during the drying process. Lastly, try to choose a lightweight fabric with interesting graphic qualities…I promise it will make a difference when you switch on that bulb. 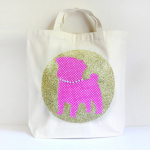 I loved your blog on Mod Podge. I am the inventor and creator of the product. It is over 40 years old. The biggest thing I have Mod Podged is a VW car.